U.S. Rep. Steve Stockman’s campaign for U.S. Senate is fighting back against allegations from GOP primary rivals that it is involved in third-party groups' efforts to promote his campaign. 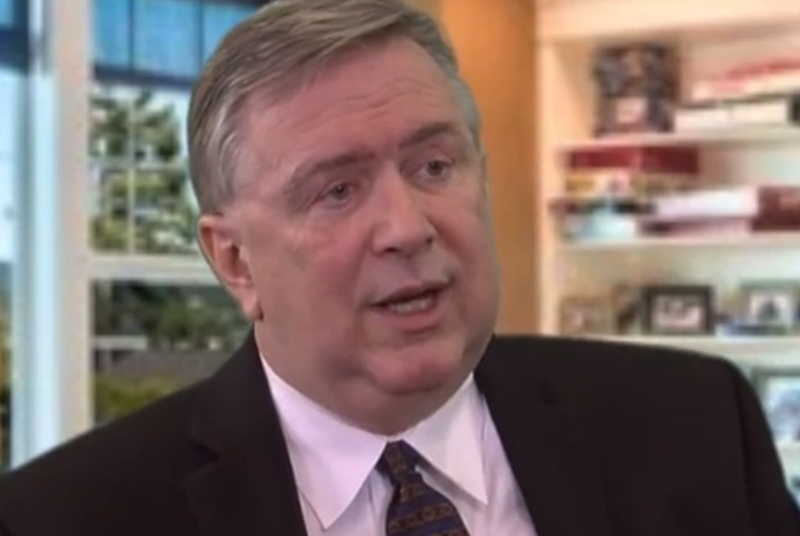 YouTube screenshot of U.S. Rep. Steve Stockman, R-Friendswood, from a Western Center for Journalism interview on Feb. 2, 2014. A spokesman for U.S. Rep. Steve Stockman’s campaign for U.S. Senate denied multiple allegations Sunday from rivals that it is engaging in misleading or illegal efforts to sway Republican voters. Stockman, of Friendswood, is one of seven Republicans hoping to unseat U.S. Sen. John Cornyn in the March 4 primary. Over the weekend, some Texas voters received a 16-page campaign mailer made to look like a newspaper titled “The Conservative News.” The publication was from an organization called Center for the American Future, and is also available on the group’s website. Every page of the publication is devoted to criticizing Cornyn or praising Stockman. It includes images that are nearly identical to those posted by Stockman’s campaign in recent weeks. Quorum Report and Big Jolly Politics, a conservative blog, were the first to report the appearance of the newspapers in some Texans’ mailboxes. Cornyn campaign spokesman Drew Brandewie, among others, linked to the posts on Twitter and accused Stockman of sending the publication. Stockman has faced questions of political impropriety, including sending out campaign materials made to look like newspapers, since his first successful run for Congress in the 1990s. In 1998, the Federal Election Commission fined Stockman’s congressional campaign $40,000 for distributing a newspaper, the Southeast Texas Times, that purported to be an independent newsletter published by area conservatives. It was published out of Stockman’s house. In 2012, Stockman’s congressional campaign produced another newspaper that suggested a leading opponent had dropped out of the race. On Sunday, Stockman campaign spokesman Donny Ferguson said the campaign had nothing to do with "The Conservative News." A call to the Center for the American Future was not immediately returned Sunday. Ferguson also said the Stockman campaign had no involvement with recent political activity by Public Advocates, a Washington, D.C.-based conservative group. The group sent out questionnaires to Cornyn and his Republican and Democratic opponents asking about their views on the “homosexual lobby.” The group’s president, Eugene Delgaudio, emailed voters in Texas last week that only Stockman responded to the questionnaire and is “100% pro-family.” Ferguson used to work as a legislative aide for Delgaudio, who is a member of the Loudon County Board of Supervisors in Virginia. On Friday, the campaign of Dwayne Stovall, another Republican in the race, launched a website, surveysaysdeception.com, accusing the organization of deceiving voters by painting the other candidates as opposed to traditional family values for not filling out the survey. On social media, both Stovall and Brandewie have also promoted a recent podcast by Lee Stranahan, a reporter for the conservative news site Breitbart Texas, which accuses Delgaudio and Public Advocates of “scamming” voters and working to pump up Stockman’s campaign. An email to Public Advocates was not immediately returned.